Our team, a close-knit, collaborative group, strives to provide the personal attention, guidance, and compassion clients need. Our team consists of accomplished legal professionals who understand how to navigate the system, advocating on your behalf. Bringing 22 years’ experience in the legal field, Holly has worked as a Paralegal for Nash & Franciskato since its founding in 2004. Her experience includes all types of personal injury and wrongful death cases involving automobile accidents, slip and fall injuries, nursing home abuse and neglect, and product defects. In addition, she has developed special expertise in trucking litigation. A lifelong resident of Kansas and a Jayhawk basketball fan, Holly currently resides in Kansas City, Kansas. She has a son, Christian, and a Chihuahua, Precious. She enjoys spending time with family and friends. Nancy A. Cline has devoted her career to helping people and businesses with their legal problems. Her work experience includes all types of personal injury and wrongful death cases involving product defects, vehicular negligence, aviation negligence and malpractice. She has also assisted clients in making their claims for damages for insurance bad-faith, legal malpractice, employment discrimination and whistle-blower cases. She has worked on cases pursuing the rights of individuals, as well as cases defending multi-billion dollar companies. In her thirty-plus years of experience Nancy has assisted at numerous trials, arbitrations and mediations. 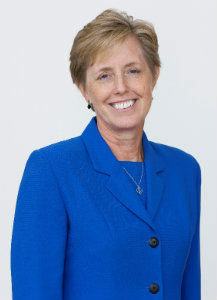 Nancy has been a member of the American Association for Justice, f/k/a Association of Trial Lawyers of America (ATLA) since 1992 and was chosen as ATLA’s Paralegal of the Year in 2000. She is a member of the Kansas City Metropolitan Bar Association, the Kansas City Paralegal Association and the Association for Women Lawyers. Nancy has a B.A. from Western Illinois University and continued her legal education at William Jewell College Paralegal Program, and at various seminars and conferences throughout the United States. Nancy grew up on a farm in Illinois. She is a huge fan of the Kansas City Chiefs, St. Louis Cardinals and Sporting KC. When not assisting in the practice of law, Nancy can be found spending time with her husband, Ronald Cline, and four boys at many athletic events or at various travel destinations. Nancy serves as the President of the Henning Family Foundation, which was established in 2013 with a mission to place automated external defibrillators (AEDs) at athletic fields and other non-profit locations through out the Kansas City Metropolitan area. To date, the foundation has placed over 120 AEDs at various locations. She is also actively involved on the Life Team for Young Life in Platte County and Liberty, Missouri. Nancy and her family are also involved in various roles with Restore Community Church of Kansas City, Missouri. 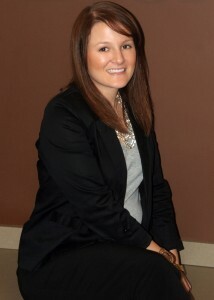 Amanda has worked for Nash & Franciskato since August of 2010. She assists the firms’ lawyers and clients with all aspects of litigation, including drafting pleadings, document analysis and production, and trial preparation. In that regard, she has developed special expertise in cases involving defective hip replacements and other medical device litigation. 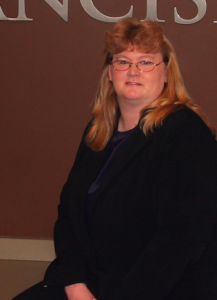 Additionally, Amanda handles the day-to-day office management for the firm. Amanda resides with her husband and two dogs in Lee’s Summit, Missouri. She is an avid Kansas City sports fan, and she enjoys spending time with family and friends. 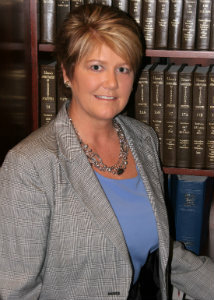 Stephanie Robinson began working with Dean Nash and Brian Franciskato as a Legal Secretary in 1996. With the formation of the Nash & Franciskato Law Firm in September 2004, she assumed the additional responsibilities of Office and Accounts Manager, and Paralegal. Stephanie’s combined 38 years of legal experience includes personal injury and wrongful death litigation, including automobile accidents, motorcycle accidents, slip and fall injuries and product liability cases resulting from the design and manufacture of defective prosthesis implants. Her knowledge of the daily operation, accounting and client requirements of a law firm assists her co-workers with their needs and goals. As Paralegal, Stephanie works closely with clients and litigation attorneys, allowing her to provide valuable input and the assistance needed for preparation and development of Nash & Franciskato’s cases. Stephanie is a life-long Missouri resident with two young grandsons, and a son who resides in Phoenix! She enjoys riding motorcycles, boating, spending time with family and friends, and cheering on the Royals and Chiefs!